Looking for a food pantry in Peru, IN for your emergency food assistance concerns? 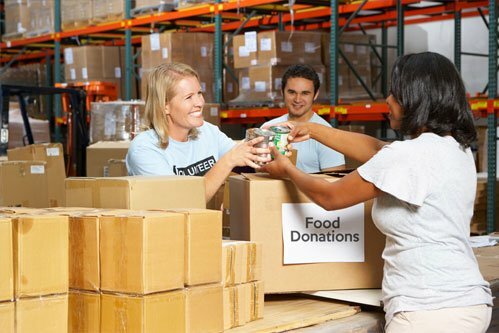 Search no further than Miami County Helping Hands, Inc. We help in alleviating hunger by giving food to various residents in and around the area. Our organization is supported by the generosity of the local communities in Miami County. Miami County Helping Hands, Inc. is an established nonprofit organization providing dependable assistance to Miami County residents. Our food pantry and assistance center was founded in March 2002. Our group consists of approximately 60 members devoted to extending a helping hand to those in need. If you are a new client, you may visit us during normal operating hours on Monday, Wednesday, or Friday, but please be here no later than 11:30 am. Please take note that throughout the school year, we will be closed on days that classes in Peru Community Schools are suspended due to inclement weather. Do you have any inquiries regarding our food pantry? Perhaps you would like to discuss your emergency food assistance concerns with one of our volunteers? Reach out to us through the contact information listed on this website. We will gladly walk you through the steps on how to become an eligible beneficiary.